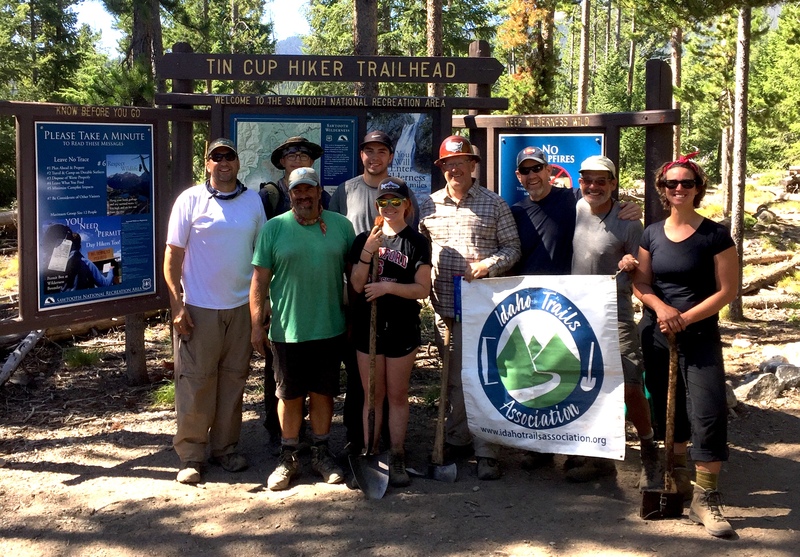 Join ITA today and become part of the solution for Idaho's amazing backcountry trails! Make This the Year You Join Idaho Trails Association! Today is the beginning of the Idaho Trails Association 2017 Membership Drive. We need YOU to help us so that we can maintain more of Idaho's spectacular hiking trails! We'll be running the drive from November 1st to December 31st, 2017 so join soon! In 2010, when ITA was founded, we conducted two trail maintenance projects with about 200 hours of trail volunteer time. Only seven years later, in 2017 we completed 21 projects; including 11 week-long work "vacations" as we like to call them. A total of 215 people just like you contributed more than 5,175 hours of volunteer time in the field sawing downed logs, fixing water bars, cutting back brush, and repairing trail treads. ITA's value to the land managers went from $48,000 in 2015 to $124,200! That's saving our taxpayer money and enabling more trail maintenance. This year, with the support of our members, we also expanded further throughout Idaho, for the first time conducting digital trails inventory and monitoring in the Gospel Hump and Hells Canyon Wildernesses. Our monitoring crew hiked 167 miles of trail, inventoried 118 campsites, and used smart phone apps to digitally map 56 user trails. Help us continue all this great work by signing up as a new member--or by going up a notch or two in our membership categories, which range from $15/year for students to $500 for "Trail Ambassadors." Your support now will enable us to complete even more work projects in 2018: more of those week-long vacations, more weekend trips, and more single-day projects. Plus, it's just a great feeling as you hike along a trail to know that you've done your part to keep trails open and accessible to all! We need you to help us preserve Idaho's trails! Idaho Trails Association is a non-profit organization dedicated to the continued enjoyment of Idaho's hiking trails. Since 2010, we have been working to keep Idaho's backcountry trails open and accessible for all.